Obama's Science Team: A Change Of Climate? President-elect Barack Obama introduced the members of his science and technology team Saturday. Science adviser John Holmgren and others are expected to take a more aggressive approach to combating climate change than the people they replace. Obama's Science Team: A Change Of Climate? 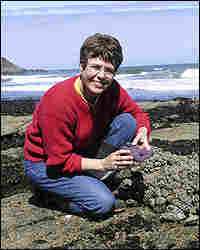 Marine biology professor Jane Lubchenco on the job in 2004 in Fogarty Creek, Ore. She was chosen to be the next head of the National Oceanic and Atmospheric Administration. President-elect Barack Obama filled two top science jobs Saturday. In the process, he signaled a new White House emphasis on climate change. 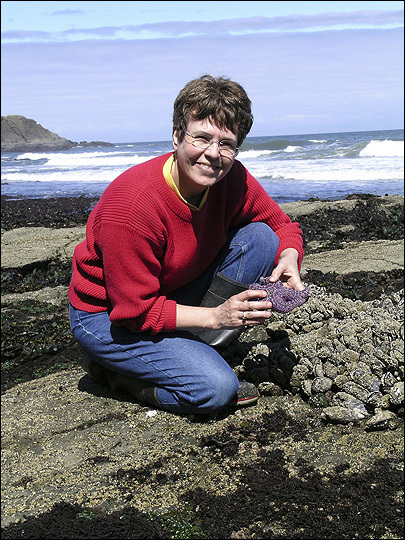 Harvard professor John Holdren will be the chief White House science adviser and marine biologist Jane Lubchenco will run the National Oceanic and Atmospheric Administration. Obama said his White House is determined to turn back toward science. "The truth is that promoting science isn't just about providing resources," he said. "It's about protecting free and open inquiry. It's about ensuring that facts and evidence are never twisted or obscured by politics or ideology. It's about listening to what our scientists have to say. Even when it's inconvenient." It's likely to be a big change from Bush administration policy, according to NPR's Elizabeth Shogren. "I think that most people — even most scientists — continue to underestimate how far down the path to climate catastrophe we've already traveled." "I don't think the American public understands [there's] a reasonably high probability some very bad things will happen," Chu said. "They fundamentally don't understand that, because if they really felt that then they would do something about it." Both of these men stress the importance of cutting greenhouse-gas emissions soon. So if Obama pushes climate change policy to the backburner because of the other urgent challenges the nation faces, Shogren tells Andrea Seabrook, he's likely to have people very close to him warning in loud voices that he has to act fast and boldly to ward off the worst consequences of climate change — such as rising sea levels, floods, hurricanes and disease. It's hard to now how quickly Obama will push for legislation to limit greenhouse-gas emissions. Getting the right bill through Congress could be difficult with so many other priorities, including the looming financial crisis. But there are executive options available that would bypass Congress, including asking the Environmental Protection Agency to regulate greenhouse-gas emissions, Shogren says. That could prompt Congress to move on the issue.